New best savings rate launches: are instant access accounts looking up? Instant-access rates have moved very little since the launch of Marcus by Goldman Sachs in September 2018, but ICICI Bank’s latest account could finally shake up savings stagnation. The top rate for instant-access savings has remained at 1.5% for the past five months – with the exception of Nottingham Building Society’s 1.55% account, withdrawn after just two days, and the Family Building Society’s 1.51% account requiring a £15,000 deposit. The new account from ICICI Bank offers 1.55%, well above its nearest competitor and can be opened with just £1. The overall average rate for instant access accounts is rising too. This month it is at 0.64%, while in January 2018 it was just 0.48%. This suggests the majority of instant-access account providers are slowly clawing up their interest, not just those vying for the top spot. So, is the savings market heating up? Which? reveals where to find top-rate instant-access savings accounts, and what tricky terms you need to watch out for. What are the top-rate instant-access accounts? The table below shows the five top-rate instant-access savings accounts available nationwide. The links will take you through to Which? Money Compare. ICICI Bank Hisave bonus saver account 1.55% £1 minimum initial deposit. AER drops to 1.25% after 12 months. The Family Building Society premium saver 1.51% £15,000 minimum initial deposit. West Brom Building Society WeBSave double access 1.50% £1,000 minimum initial deposit. Two withdrawals permitted per account year. Further withdrawals will cause the AER to be reduced. Cynergy Bank online easy access account 1.50% £1 minimum initial deposit. AER drops to 1% after 12 months. Marcus by Goldman Sachs online savings account 1.50% £1 minimum initial deposit. AER drops to 1.35% after 12 months. Source: Which? Money Compare. Correct 31 January 2019. There’s very little difference in the interest you’ll be earning with the top-rate accounts – so you should base your choice on what account best suits your circumstances. While many accounts are touted as instant-access, that doesn’t necessarily mean you’ll be able to make withdrawals whenever you like. In the case of the West Brom account, you can only make two withdrawals in each account year (this runs from 1 May-30 April) – taking out money more frequently than this will mean the AER plummets to 0.25%. The three other accounts in the table all have bonus rates that last for the first 12 months from opening the account. After this point, the AER will drop – Cynergy Bank has the most dramatic rate decrease, where you’ll lose out on 0.5%. With all of these account, you should consider switching after a year to ensure you’re still earning a competitive rate. Family Building Society’s account doesn’t have these kinds of restrictions, but it does require a hefty £15,000 just to open the account – which isn’t achievable for many savers – and withdrawals must be at least £100 each time. You also won’t be able to add any extra cash to the account after the funding cut-off date of 8 March 2019. So, you’ll need to deposit all of the money you want to save by then. Despite these accounts offering top rates, none are able to beat the current rate of inflation, which was 2.1% in December 2018. We recently found more than 170 accounts that could beat inflation, but none of these offered easy access to your cash. The shortest amount of time you’ll need to lock up your savings to beat inflation is one year. Gatehouse Bank’s one-year fixed-term deposit has 2.15% Expected Profit Rate (EPR), and Al Rayan Bank’s 12-month fixed term deposit offers 2.12% EPR. Both require £1,000 as a minimum initial deposit. How do instant-access cash Isas compare? By way of comparison, the table below shows the five top-rate instant-access cash Isa accounts. Paragon limited edition easy access cash Isa 1.45% £1 minimum initial deposit. Virgin Money double take E-Isa 1.45% £1 minimum initial deposit. Only two withdrawals permitted per year. Yorkshire Building Society single access saver 1.41% £100 minimum initial deposit. One withdrawal permitted per account year. Leeds Building Society limited issue online access Isa 1.38% £1 minimum initial deposit. Tesco Bank instant access cash Isa 1.38% £1 minimum initial deposit. AER drops to 0.65% after 12 months. The top savings accounts all outstrip the top Isa rates, but the minimum initial deposits for these five accounts are very low, which is good for those who have small savings pots. There are, however, some of the same terms that could catch you out. Two accounts only permit a limited number of withdrawals – Virgin Money and Yorkshire Building Society – while Tesco Bank’s account has a significant AER drop after 12 months. It’s true that cash Isa rates are consistently outperformed by savings accounts at the moment, but that doesn’t necessarily mean you should count them out. Money held in an Isa is tax-free, meaning you’re free to earn as much interest as you like without having to worry about exceeding your personal savings allowance. This is particularly helpful if you have a large savings pot, or if you’re an higher- or additional-rate taxpayer, in which case you’ll have a reduced personal savings allowance, or none at all. Which? Recommended Providers are companies that have been rated highly by the respondents to our unique customer survey and have products that meet the high standards of our researchers. In terms of instant-access accounts, RCI Bank’s Freedom Saving Account has an AER of 1.42%, and requires an initial deposit of at least £100. You can save up to £1m. Customers rated the bank’s regular contact and customer service highly. Skipton Building Society’s eSaver account pays 1.15% AER, and requires a minimum deposit of £1 – and you can deposit up to £1m, meaning it’s suitable for those with all sizes of savings pot. The provider has been rated highly across all categories, particularly its customer service. Elsewhere, Coventry Building Society’s Easy Access Saver also offers 1.15% AER with a minimum initial deposit of £1. The bank’s interest rate information and clarity of statement rate particularly highly among customers. 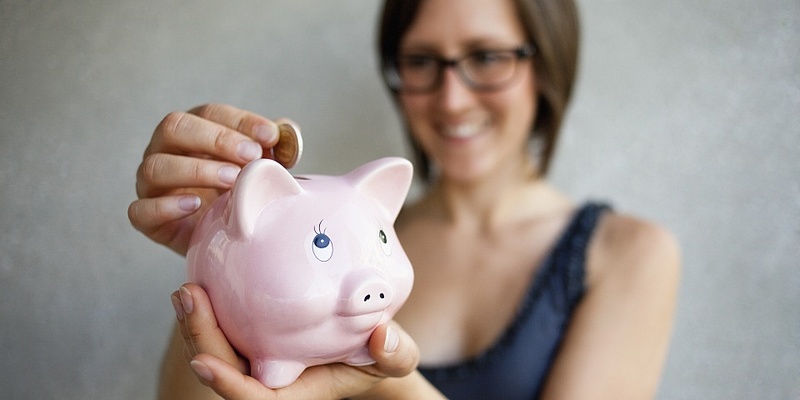 You can compare hundreds of savings accounts with Which? Money Compare. Please note that the information in the table(s) above is for information purposes only and does not constitute advice. Please refer to the particular terms and conditions of the savings account provider before committing to any financial products. Please note that the information in this article is for information purposes only and does not constitute advice. Please refer to the particular terms & conditions of a provider before committing to any financial products.